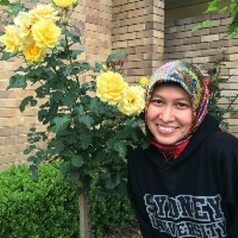 I am a lecturer at the Department of Communication Studies, Syiah Kuala University, Banda Aceh, Indonesia. I have worked intensively in research and projects focusing on media and interdisciplinary issues, such as health, climate change, and Disaster Risk Reduction (DRR). My health communication research is mostly in the issue of tobacco control, exclusive breastfeeding, and mental health. I am currently a PhD candidate in Health Communication at the Department of Media and Communication in University of Sydney. I am working on a qualitative research exploring how women in Indonesia interpret both tobacco advertisements and the anti-smoking Public Service Announcements (PSAs), and how the social practise may have an influence on the women’s meaning-making process towards the messages.